There is something to be said about the chemistry between an artist and their producer. When a producer and artist understand each other the results are phenomenal. They create a joint message through their work, and it’s something that shouldn’t be taken for granted, especially in this ‘fast food’ music industry. I got to thinking about this when I was listening to Drakes newest offering ‘Marvin’s Room’. I’m a strong Drake fan, but I was realizing how much more I like his work when it’s with Noah “40” Shebib. He’s worked with the likes of Kanye West and DJ Khaled, but nothing compares to his work with Shebib. 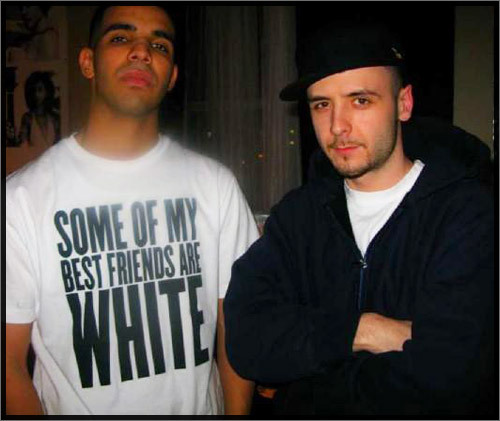 Shebib produces most of Drake material and he not only understands the intentions of Drake, but also the sound that makes him unique. Just listen to any of their collaborations; they’re perfect. They even wrote the ‘Unthinkable’ for Alicia Keys together, which is one of the best R&B songs of the past few years. And this got me thinking, what other artist have a relationship like this? First and foremost there is Michael Jackson and Quincy Jones. Just listen through Thriller once. Jones to push Jackson forward, mixing genre’s to create what we know as pop. Timbaland is unbelievable because he’s teamed up with multiple people in the past for amazing results. Think about his work with Aaliyah , creating a modern Janet Jackson through there collaborations. Or how he re-wrote female rap with Missy Elliott. His revolutionary work with Justin Timberlake is arguably the best modern example of musical chemistry. Ester Dean and Stargate has worked on multiple number hits over the past three years, it will be interesting to see if there chemistry will bleed into Dean’s solo career. And Lady Gaga has seen tremendous success with Redone on everything they have done. I’m not talking about successful collaborations. I’m talking about an artists unique sound. ‘Marvin’s Room’ has a distinct mood that Drake has perfect. It’s something people try to copy, but will never be able to achieve because it’s one of a kind. Same goes for Timbaland collaborations. Sure, they sound good. When he worked with Lil Kim on ‘The Jump Off’ it was a certified smash, but it can’t even compare to that authenticity of his work with Missy. These are the musical relationships I long to see more of. These are the moments that listeners are drawn in the most. Who are your favorite producer/artist relationship?